I realised, in the middle of an ultra running race of 50 miles, how much Yin Yoga had to do with it. Not only physically, but mentally. Growing up on a wrestling mat, I know all about hard training and competition, spending a few years competing on elite level. After leaving the fight training around age 22, I went into general gym training as a cop, and later found stand up paddling and surfing, as well as ultra running. If it weren’t for Yin Yoga, I wouldn’t even run in the first place. Being exposed to injury as a cop, I was told I wasn’t going to be able to run or train as I was used to, ever again. I was told to accept my injury (whiplash), which at first I did. Until yoga happened. Yin Yoga has helped me not only heal my body from injury, but strengthen my joints and healed my mind from thinking I couldn’t to I can. 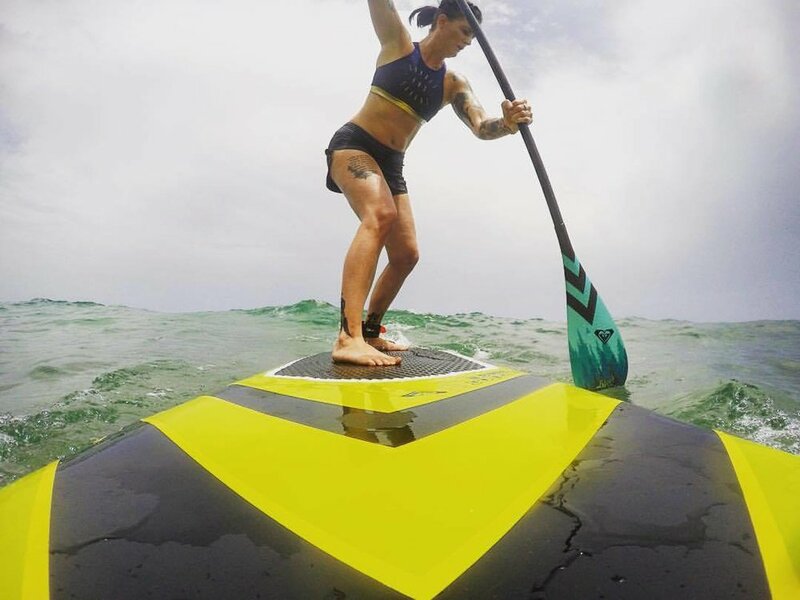 Slowly as my body started to heal from Yin Yoga, I found stand up paddle boarding and my new home, the ocean. That in turn strengthen me on other levels as well, and suddenly I was into running again. And not only running, I was into ultra running. And I realised how much ultra has Yin qualities in it. Long story short, I was already a Yin Yoga teacher training when I took up running (again) and being a person who loves to create what I see missing in the yoga world, I decided to found YYFA Yin Yoga for Athletes. Its part science based part experience based, from my own story and also my work teaching Yin Yoga for athletes and elite cops.